Architectural Photography Composition, Capture, and Digital Image Processing, 2nd Edition Edition | Free eBooks Download - EBOOKEE! Posted on 2018-04-30, by nokia241186. Architectural photography is more than simply choosing a subject and pressing the shutter-release button; it's more than just documenting a project. An architectural photograph shows the form and appeal of a building far better than any other medium. With the advent of the digital photographic workflow, architects are discovering exciting new opportunities to present and market their work. But what are the ingredients for a successful architectural photograph? What equipment do you need? How can you improve your images in your digital darkroom? Why does a building look different in reality than in a photographic image? In this book you will find the answers to these questions and much more. 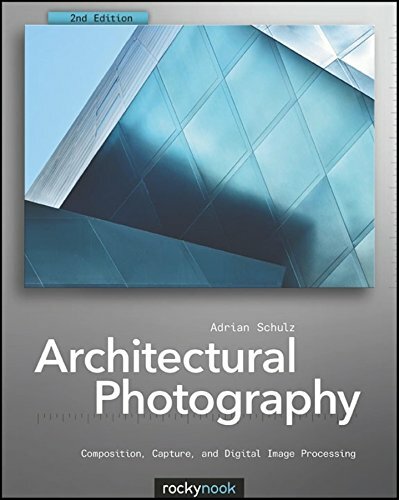 This book is a step-by-step guide to architectural photography for both the aspiring amateur photographer interested in architectural photography and the professional photographer wanting to expand his skills in this domain. Moreover, architects themselves will find this book motivating and inspiring. This second edition has been extensively revised and includes 80 new images and illustrations, as well as an expanded chapter on shooting interior spaces. Also included is an updated discussion of post-processing techniques and the latest technical developments in the world of photography. With this book, you will learn a variety of creative tips, tricks, and guidelines for making the perfect architectural image. No comments for "Architectural Photography Composition, Capture, and Digital Image Processing, 2nd Edition Edition".